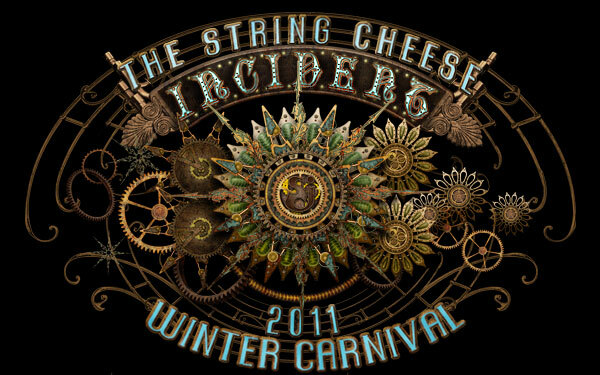 The String Cheese Incident has announced that they will once again be playing Winter Carnival. The shows are taking place at the 1st Bank Center in Broomfield, Colorado. The dates are March 10, 11, 12 and tickets are $55 each. These are the first shows of 2011 which have been announced by the band. My hope is that they’ll bring out some old favorites from their repertoire that haven’t been heard since 2007 or earlier. Let’s leave Bumpin’ Reel and Sirens behind and bring back Valley of the Jig, Sand Dollar and 100 Year Flood. What are some of your favorites that you’d like to hear? YES!!! i’d like all three of those songs too!! how about a cottonmouth, a black furry possom, and a up the canyon!?! Pirates & These Waves & Chameleon!!! ^^^ Bigger isnt Better, Resume Man, Who I am, Freedom Jazz Dance, Glory Chords! I want to hear every song that has been posted. Shakin the Tree would be such a nice breakout! how bout a Signed, Sealed, Delievered & Whiskey Before Breakfast!! I wanna hear some Valley of the Jig, Up the Canyon, Resume Man, & Sing a New Song. It would be cool if Ivan Neville gets on stage and plays on Shantytown. I’m just ready to hear some Cheese again. Hopefully they announce their Rothbury Incident plans sometime during the Winter Carnival also.